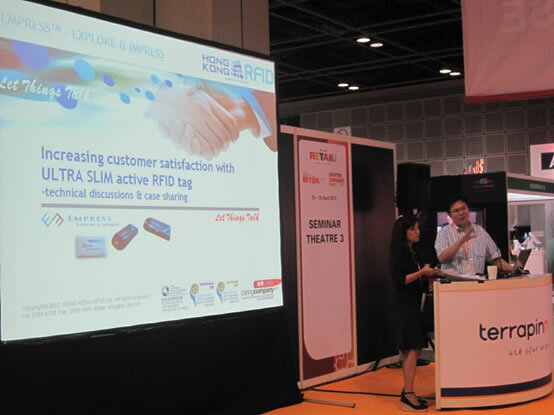 With the enthusiastic support from global exhibitors and visitors, the 3-day mega event, RFID World Asia 2012, has achieved a thrilling closing on 27 April, 2012. This regional exhibition and conference which is designed specifically for the RFID industry has successfully attracted trade visitors from countries worldwide as well as provided an excellent platform to establish network and identify new prospects in the field. Numerous compliments are received after the show. 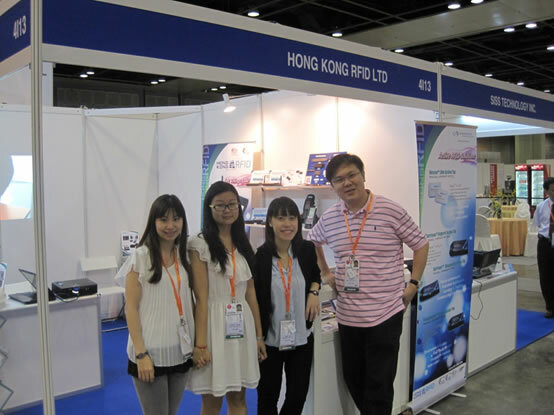 Having been the third year to participate in this world class RFID show, Hong Kong RFID Ltd. is delighted to announce that great success is achieved throughout the event. 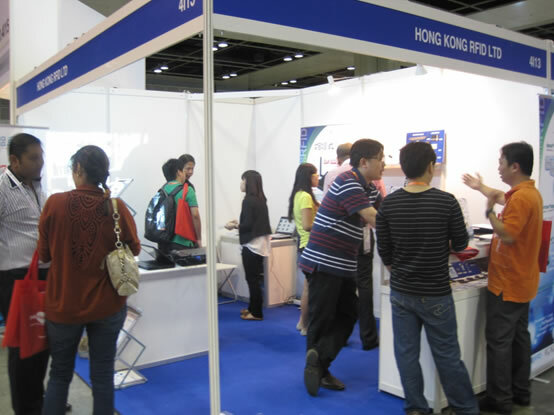 Through the display and demonstration of various RFID solutions in an interactive approach, the shows have drawn the attention of numerous global trade visitors. The exchange of experience and technological knowledge with the industry experts has helped each other to progress significantly in the field. With such a great and fruitful experience, we are enthusiastic to continue participating in the diverse events to promote our RFID technology to the public and facilitate exchange in the industry.